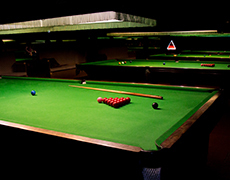 Snooker, billards, pool. 12 noon to 2am every day of the year. The Red Triangle opened in 1977 and still maintains it's original charm. The owner is Tino (previous owner from 1980-'88). We are an unlicensed venue; ideal for teenage birthday parties, and perfect for those looking for a relaxing environment. Check out some of our excellent reviews. 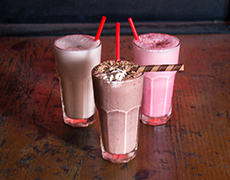 Try one of our famous deluxe milkshakes! We also have food on offer; download the menu. Come along to some of our friendly classes, the first three are on the house! 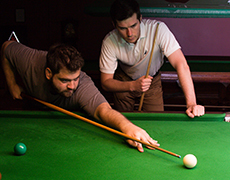 Standard table hire is $18p/h, solo practice is $12p/h, and all rates are half price before 6pm on weekdays (public holidays excluded). Have a question? Feel free to send us a message. 110 Argyle St, Fitzroy, Victoria.